The Next Big Thing is a series of connected blog posts, written by a wide variety of authors, all responding to the same ten interview questions. Participating authors tag others who then write their own blog post exactly one week later. It’s a fascinating way to spread the word about current and forthcoming projects. This meme is going viral! Last week I was tagged by author Nene Davies. Nene’s first novel Distance is to be published as an ebook later this year by Really Blue Books. Distance explores how the bonds of family relationships are tested by the decision to migrate from Wales to Australia. Thank you Nene. This week it’s my turn. Welcome to an update about my Next Big Thing. 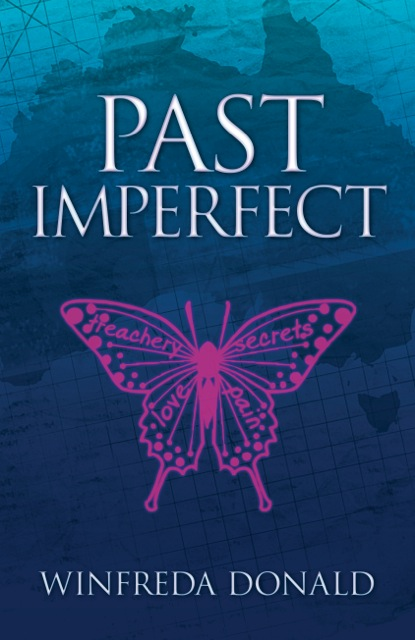 The title of my book is Past imperfect, the first of three in the Long Shadows: A family saga series. To be published with the pen name of Winfreda Donald. A fourth book is incubating. The interweaving saga themes evolved from three passions. First, as the oldest of seven children, nuclear family life has always been absorbing. Add to that privileged insights to the genealogies of families from many places and it was inevitable that extended family would become the cornerstone of anything I might write. And of course there are always love stories as families intermingle. Second is a fascination with tales of the wilful disruption of other people’s lives and loves. This happens more often than I realised until recent times and sometimes triggers obsessive searches for identity. Third, during the last ten years I’ve become immersed in following the controversies around the philosophies and operation of humanitarian aid organisations with a particular interest in the work in Sudan. From that mix the saga launched into a life of its own, fuelled by the interactions of the characters and snippets of information that turned up serendipitously from here and there. In the beginning I envisaged it would be one book until it started to take on Gone with the wind proportions. Past imperfect came into being when I discovered how impossible it was to seamlessly feed complex backstory into later parts of the unfolding saga. This first book shows how the roller-coaster of family events across the generations affects the teenage lovers, Freya and Alexander. It is multi-genre: general fiction, romance, women’s read, young adult, and family saga. It would be wonderful to see the scenes in my mind lived out on screen. Because the two main characters start out as ordinary teenagers grappling with awkward circumstances I’ve chosen young lesser known actors. They’d need coaching to take them back to different times in the 1970s and 1980s in both Scotland and Australia. For the protagonist Freya (positive, active, identity-seeking, student, nurse and carer) I’d cast Dichen Lachman. Makeup would need to provide her with mousy hair, a plainer appearance and very blue eyes. Handsome Jonny Pasvolsky’s hair and colouring is just right for Freya’s Macedonian boyfriend Alexander. His screen persona would embrace the role as a serious and driven student who becomes a teacher and flier. The other women in Freya’s life are significant players. Mother Claire and sister Nessie inherit grandmother Agnes’s dark-haired beauty. Audiences would relate to well-known actors: Catherine Zeta-Jones as Agnes (with added years, a Scots accent and a nasty side to her personality), Rose Byrne as hapless Claire and Hayley Jones as the precocious Nessie. What fun thinking of supporting cast. They might include Scot Alan Francis as Freya’s father Jacob with his mysterious background, Luke Mitchell as Australian engineer and keen surfer Tony Bolton, Belle Jones as Scottish auburn-haired love interest called Catriona. Other characters in the movie would be atmospheric locations along the coast and hinterland of Queensland and the cities of Glasgow, Edinburgh and Aberdeen in Scotland. Teenager Freya travels to Glasgow on a brief family mission unaware that secrets and lessons about life and death and love will maroon her half a world away from immediate family and her soul-mate Alexander in Australia for many years. As soon as the final edit of the end chapters of Past imperfect is done I intend to publish independently for distribution through Smashwords. It feels imminent – hopefully by late February this year. Then I’m itching to apply an eagle editing eye to the draft of Present tense, the second novel of the family saga. I’m a bit woolly about the timeframe as I wrote and researched in fits and starts around demanding job schedules at first. Since retiring I estimate it’s been around three years of consistent work which includes the drafting of the second and third books as well. Past imperfect is its own entity but has elements found in Joanna Trollope’s family stories, Daughters-in-law or The other family and Monica McInerney’s tale At home with the Templetons. The follow-on books are differently textured. What? – the passions for family and stories across the generations already mentioned. Who? – encouragement from writer friends, and the characters in Past imperfect who were bursting to get onto the page. They would love to appear on film. Freya’s barely known family background may account for the occasional intuitions and visions she experiences but does not trust fully or understand. How much is the same and how much is different about training as a nurse now and thirty years ago. The different responses and different personalities (especially the grandmothers from different nations in the northern hemisphere), to the culture in Australia. The differences in the speed of communication between countries from the 1980s to the present. Thank you for reading about the first book of the Long shadows saga. Next week, do look out for Next Big Thing tagged authors Helen Carey and Kevin Hanrahan. I’ve been following their blogs for some time. You are in for a treat. Edit diary and more . . . The blog has had little attention of late – preoccupied with family matters. 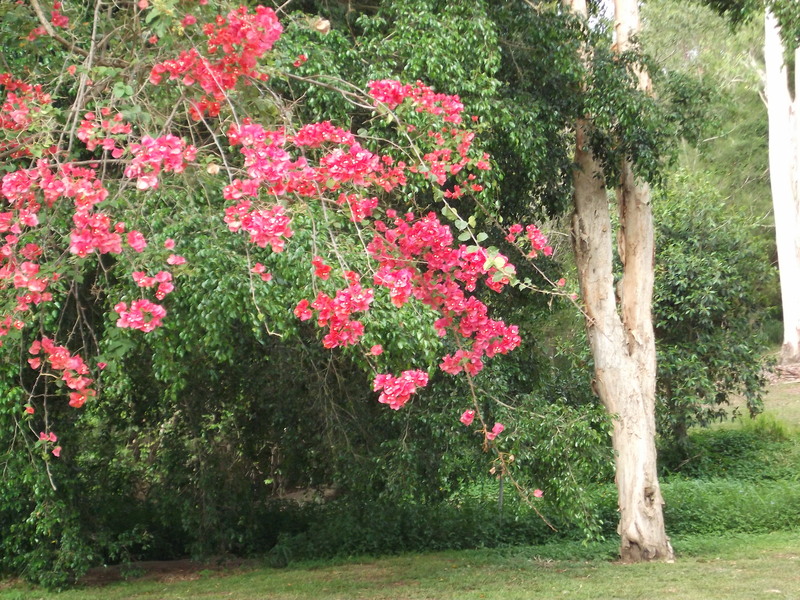 But I managed to fit in some of the usual action – working towards publication of the first novel of a family saga series, writing, learning, reading, meeting friends, walking, melting in the heat. Fortunately not affected by the fires apart from intermittent smoke pall. Thoughts are with those who have lost so much. Editing: Almost half-way through what is to be the final edit of Book One – Past imperfect. Making few and minor changes only. Writing: Focussed on front and back matter for Past imperfect. Hadn’t given this serious thought before, but getting there. Still need to clarify permissions for several quotes. I’m hoping two are now in the public domain, but it’s a challenge to confirm that. Intending to publish first with Smashwords and then investigate the others. Starting to gather plot ideas for the fourth, probably final book in the series. No title yet but the main characters will be familiar from previous books. One focus will be on international adoptions with Australia as the main setting. And of course the African connections will be maintained. I’m hoping to work in parallel on non-fiction topics through 2013. Book cover: Totally delighted with first draft for the Past imperfect cover and the designer’s proposals for the others. The master design will be modified for the next two or three books to reflect differences in location and content focus. Pen name: I’ve been dallying over a pen-name for my fiction writing for a while and have eventually settled on Winfreda Donald. There is a story to that choice which I’ve included in the back matter for Past imperfect. Colleagues / friends: One Writer’s Group friend, Nene Davies is featuring her work on The Next Big Thing today and her first novel Distance is to be e-published by an Australian publisher around May. You can visit Nene’s blog at www.nenedavies.com. Sara, another Group friend is almost ready to submit a manuscript to a publisher. Good luck Nene and Sara. #1. I’ve been tagged for The Next Big Thing next week – looking forward to circulating that next Tuesday, 22nd January. #2. Am working my way intensively through an online ProWriter course How to find readers and market your novel, devised by Joanna Penn and C J Lyons. I barrelled into it but you can choose to work on the content at any pace. For me it is terrific value as it provides a useful framework to all my random internet searches seeking ideas for marketing e-books. The material, blending as it does the experience of a multi-book author with that of a newer author on the block, is very practical and both presenters are generous with ideas, clearly oriented to a business approach to their work and emphasising the ethical with it all. They provide much support material and reference other writers as well. I will be a little slow to get going, but now feel mentally if not technologically prepared to market Past imperfect when it is ready. Hopefully late next month. You can tap into information on http://www.thecreativepenn.com/marketyourbook/. It works for me as a newbie on the scene but I think some established indie authors could gain benefit as well. Thank-you Joanna and CJ. #3. I joined Romance Writers Australia and am impressed by the wide range of information and the support available to members. When I’ve finalised Past imperfect activities, my first port of call will be to seek a critique partner (or two) as I work on the next edit of Present tense, the second book of the saga series. It feels like a positive start to 2013. Best wishes to all.